Jay is the Chief Innovation Officer at Innovation Works, a Baltimore based social enterprise dedicated to addressing Baltimore’s neighborhood and racial wealth divide through social entrepreneurship. Innovation Works aims to support and resource community members to build and own successful social enterprises that create sustainable neighborhood economies and result in a better family living, more resilient neighborhoods and a safer more vibrant city. For almost 15 years, Jay’s professional career was at the nexus of connecting job seekers to career opportunities in the private, government and non-profit sectors. In recent years, Jay shifted focus to supporting place-based talent and social entrepreneurship development organizations in distressed communities. Jay launched Unlock Africa in 2014 to support entrepreneurs across Africa, focusing on helping them build sustainable businesses that also impact their communities. Jay also led fundraising for Baltimore Corps, an innovative young startup in Baltimore City, connecting talented mission-driven individuals to opportunities in organizations working towards social impact, before joining Innovation Works in 2018. Jay has been an active volunteer and civic leader in Baltimore for almost 20 years, having served on multiple nonprofit boards, cofounding a vibrant and growing network organization for African American professionals in Baltimore and an adviser to many growing small businesses and nonprofits. 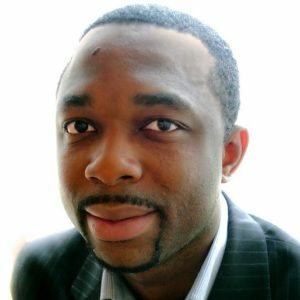 A first-generation college student and Nigerian immigrant, Jay’s academic background is in Industrial and Organizational Psychology with an undergraduate degree from the University of Maryland, Baltimore County (UMBC) and a graduate degree from the University of Baltimore.